Founder and Principal of Highsmith Financial Planning, LLC, Stephen D. Highsmith, Jr. has over 25 years in the finance industry. His experience includes life insurance, brokerage, mutual funds, and more. Paving the way to financial planning, he held a variety of senior executive appointments; he served as the President and CEO of a Midwest regional broker dealer, and the CFO of a national back-office mutual fund service provider. 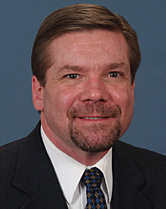 Steve earned a Bachelor of Science degree in Computer Science from Rose-Hulman Institute of Technology in Terre Haute, Indiana, a Master of Business Administration with a concentration in Leadership from Butler University in Indianapolis, Indiana, and a Certificate in Financial Planning from Boston University in Boston, Massachusetts. Steve passed the Certified Financial Planner comprehensive exam in 2014. Fee-Only. No product sales, referral fees, or commissions. Independent Advice, no conflicts of interests. Independent financial planning services and investment advice – for people ready to realize their financial goals. Whatever your age or stage, Highsmith Financial Planning is Keeping You on the Right Course. Schedule a complimentary, no-obligation meeting – Contact Us Today! BENEFIT for YOU: You receive the shared wisdom of hundreds of experienced, ethical advisors with specializing in financial planning and investment management. All written content on this site is for information purposes only. Opinions expressed herein are solely those of Steve Highsmith, President, Highsmith Financial Planning, LLC. Material presented is believed to be from reliable sources and we make no representations as to its accuracy or completeness. All information and ideas should be discussed in detail with your advisor prior to implementation. The author, publisher and host of this site are not providing legal, accounting, tax, or specific advice concerning your situation. Links to other sites endorsing an investment should not be construed to be a recommendation of that investment by Highsmith Financial Planning, LLC. Fee-only financial planning and investment advisory services are offered through Highsmith Financial Planning, LLC, an investment advisory firm registered in the state of Indiana. The presence of this web site on the Internet shall in no direct or indirect way be construed or interpreted as a solicitation to sell or offer to sell investment advisory services to any residents of any state other than the states in which Highsmith Financial Planning, LLC is registered or eligible to provide advisory services under applicable de minimis rules. All rights reserved. All material contained herein is copyright protected and may not be reproduced in any manner without the express written permission of the copyright owner. Certain text, articles and Highsmith Financial Planning's logos: © 2010 Highsmith Financial Planning, LLC. Steve Highsmith, President. Certain text, articles and GPN logos: © 2010 The Garrett Planning Network, Inc., Sheryl Garrett, Principal. "Building Brighter Financial Futures" and "Financial Planning and Advice for Everyday Life" and "Hourly, As-Needed Financial Planning and Advice for Everyday Life ... The New Choice for Smart Consumers" and 'Making Competent, Objective Financial Advice Accessible' are The Garrett Planning Network, Inc. trademarked slogans. ©2019 Highsmith Financial Planning, LLC. All rights reserved.